Hello guys, so I've been working on developing an HTML5 Canvas game using my own game framework. It's been a little over a week since I started and I wanted to give you guys some updates and show you what I have so far. 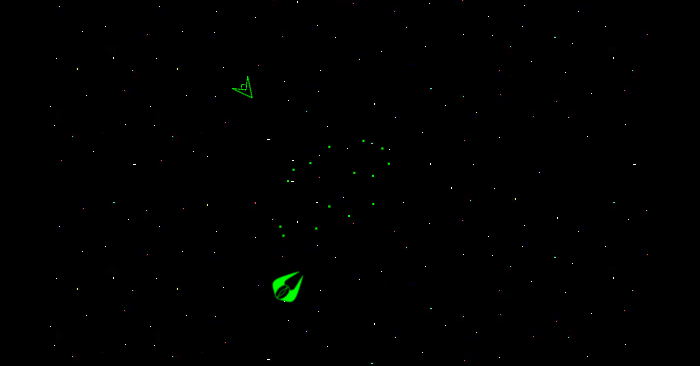 I want this game to be somewhat based on the Atari game "Asteroid Blaster" but with a story line of my own. I am publishing what I have so far with hopes that you guys will share any ideas in the comment section. You move around using your keyboard arrow keys and shoot missiles using the space bar. If you want to protect your ship from an enemy missile, you can press the down arrow on your keyboard to activate the ship's shield. This game runs on HTML5 Canvas so it is cross-platform compatible, however, I'll be working on adding inputs on mobile devices. Thank you for checking it out and play below!